A visit to Portugal isn’t complete without time spent in the Algarve, a region perfect for beach and nature-lovers, in addition to party-hoppers and even those wanting a quiet retreat in a warm location. With so much to see and do, here are our top choices for the most unforgettable experiences to try in the area. The multi-hued cliffs that fringe the coast are perhaps the most iconic natural views in this region. A few of the best walks are located around Lagos at Camilo Beach and Ponte de Piedade, and around Portimão, including Praia da Rocha. Steam cooked inside a copper dish of the same name, the cataplana is a medley of shellfish, though some cooks also include Portuguese sausages and vegetables in the mix. It is sometimes served alongside rice and is usually made to serve a crowd or a small group of two to three people at a minimum. Stemming from the Moorish occupation in Portugal, this recipe is one of the true staples from the area. Whether you take a boat or a kayak, traversing the water is usually unavoidable, only making this experience more memorable. 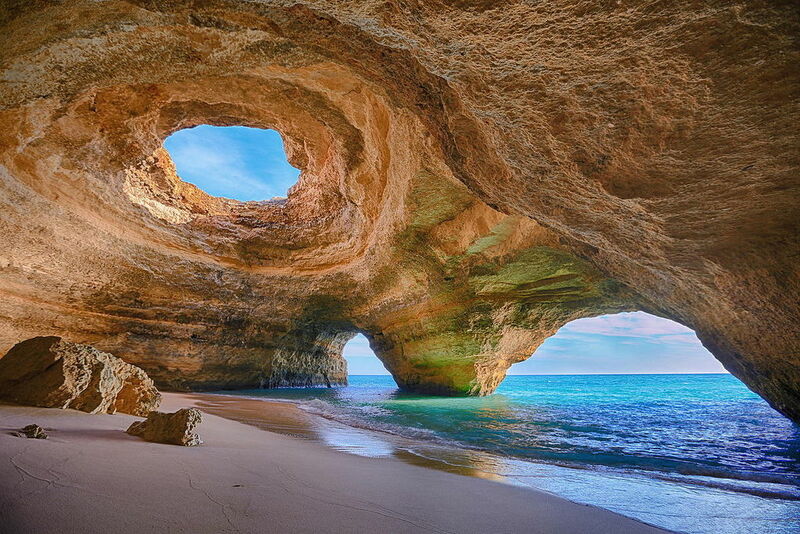 The most iconic cave in the Algarve is the Algar de Benagil, but it’s by no means the only one. Near Benagil is the Zorreira Cave and outside Carvoeiro is the Gruta do Capitão or “Captain’s Cave”. In Lagos, book a trip to the Elefante or “Elephant Cave”. It may sound like a landmark out of Game of Thrones, but the Red Castle is actually the nickname for the Silves Castle in the Algarve. Red sandstone, common in the area, was used to help build the fortress walls, hence the red hue, and the castle has been standing since the Moorish occupation of the Algarve. After touring the castle, which should only take about an hour to get through, spend the day in Silves’s historical downtown in one of the gardens, or visit the Gothic Sé Cathedral. 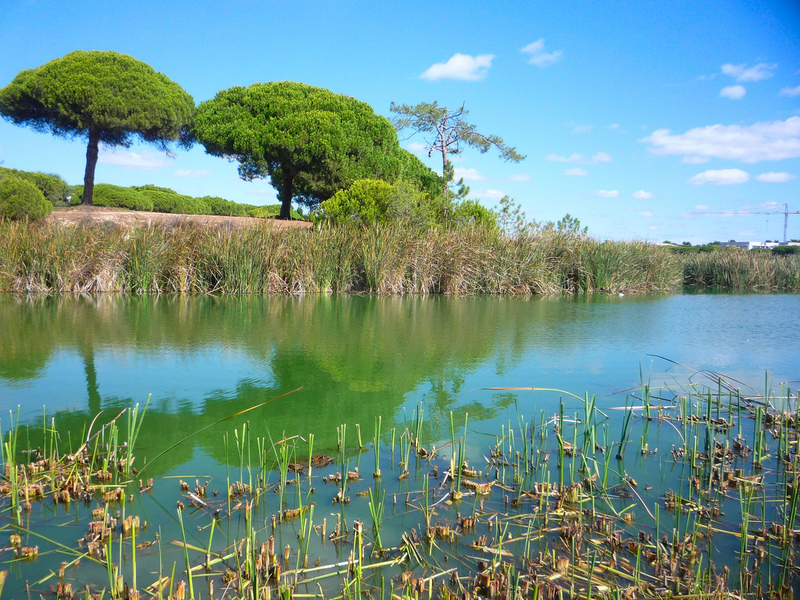 Ria Formosa is a wetland/lagoon system that extends from Faro towards Tavira, and is considered one of the gems of the Algarve. Not only is this blue and green ecosystem mesmerizing to look at, but it’s also a great location for bird watching. Choose your tour experience from a number of options, from one hour to three, or between the morning and sunset. Take photos of the solitary lighthouse and fortification at Cabo de São Vicente (Cape São Vicente) and feel the powerful wind from off the Atlantic and over the steep cliffs. Once an important landmark during the Age of Discoveries (it was one of the last views of Portugal for departing sailors and the first views for those returning), now it is an empty yet powerfully beautiful spot to visit and take unbelievable pictures. Portugal loves hosting sunset parties during the summer, but many extend way after the sun drops, especially on the weekends in the Algarve. A number of bars and cafés kick off with music in the late afternoon and continue until 10 or 11pm; sometimes they even stay open after midnight or until the sun rises again. NoSoloÁgua in Portimão is among the hottest spots on the beach, as well as Caniço Bar in Alvor and many more. The local alcohol is made with medronho berries, which grow from strawberry trees but more closely resemble lychees. Quite strong (it’s known as “firewater” in English), it should only be sipped in small amounts at a time and enjoyed with caution.